This chapter examines nausea and vomiting affecting patients who suffer from serious illness. A deeper understanding of these physiologic processes allows for better assessment and management. 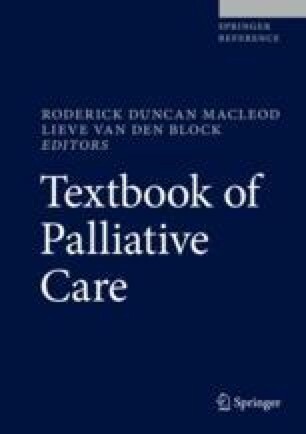 There are several different pharmacological and nonpharmacological options to improve palliation, including complementary and alternative medicines. Ultimately, there should be an individualized approach that considers the trajectory of illness and comorbidities, and most importantly it should be patient centered.